Nestled along the New Jersey shores lies “America’s Greatest Family Resort”, Ocean City. A beautiful seaside vacation destination with miles of sparkling ocean and bay beaches, non-stop family-friendly activities, old-fashioned entertainment on the bustling boardwalk and a nostalgic charm that will keep you coming back year after year. Ocean City is not only loved for its beach and bay. 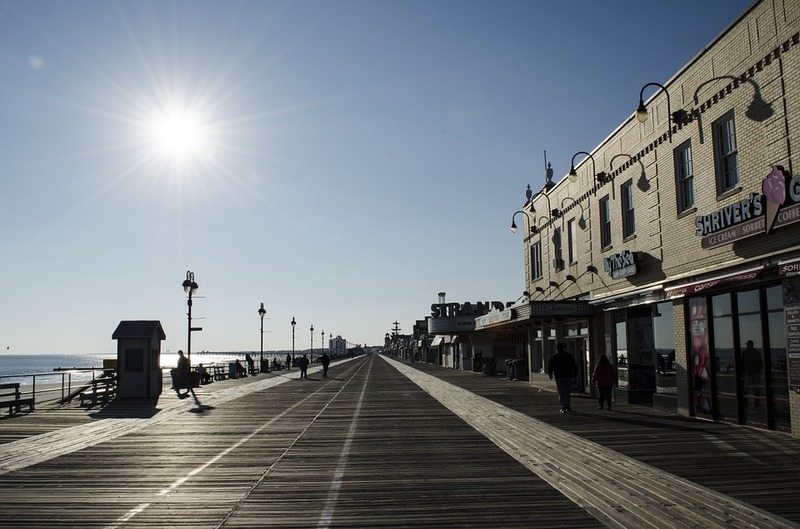 The beat of the world-famous Ocean City Boardwalk runs through your veins. Real old-fashioned attractions and entertainment, ice-cream parlors and famous salt-water taffy, amusement parks and arcades, seaside stores, galleries and a diversity of restaurants, cafes and eateries. Rent a bike to cruise the 2.5 miles of activities, eight full blocks of excitement, take in the views on the Ferris wheel or catch a concert at the Music Pier. Thursday night is family night so look out for the free entertainment for a fun filled evening. Ocean City is "dry," meaning there is no alcohol served or sold in town adding to our family friendly atmosphere. Just a few paces from the Boardwalk and you are in the heart of Ocean City’s downtown shopping district of Asbury Avenue. “The Avenue” runs from 6th to 14th and is the heart of our small town with over 100 diverse restaurants, cafes, unique shops and galleries. The place to dine and shop in Ocean City. KW Jersey Shore Rentals is your number one source for quality Ocean City NJ Vacation Rentals. Our homes are near the most popular Jersey Shore attractions of Ocean City, Sea Isle City and the Wildwoods. Our wide selection of premium vacation rentals ensures we have the perfect home for you, our friendly and knowledgeable staff are here to assist and our state-of-the-art website and online booking promises a seamless and hassle-free reservation process. We look forward to sharing your Jersey Shore vacation with you in Ocean City, New Jersey.